A newly designed futuristic power plant complex, EXOSPHERE, pioneers a unique paradigm for sustainable buildings in the Dominican Republic. Four wind turbines connect a pair of net-zero towers in the “largest building-integrated wind energy system in the Americas,” according to architect Richard Moreta Castillo of Richard’s Architecture + Design (RA+D). 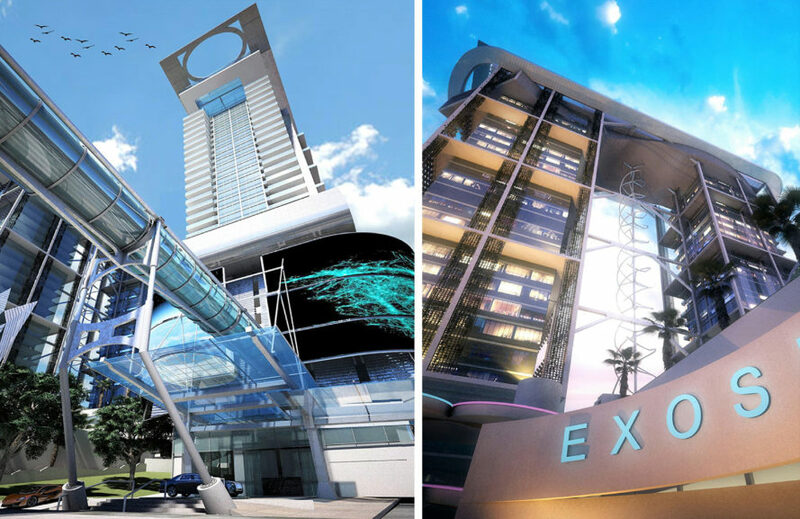 But this isn’t your typical power plant; including homes, offices, and even a spa, EXOSPHERE is positioned to vie for the title of the Caribbean’s tallest building. EXOSPHERE is one of the sustainable developments recently approved by the Dominican Republic government, according to RA+D. Not only will renewable energy power the complex, but surplus electricity will be delivered to the grid. The buildings abounds in energy efficient features such as LED lighting and efficient appliances, which will also efficiently consume water even as the design incorporates the recovery and reuse of rainwater and greywater. Carpeting made with corn and soy-based paint are two neat green interior features. Wind power isn’t the only clean energy powering the complex. Glazed facades are covered in brise soleils solar panels. A rooftop solar thermal heating system and geothermal heating and cooling adds to the building’s sustainable profile. 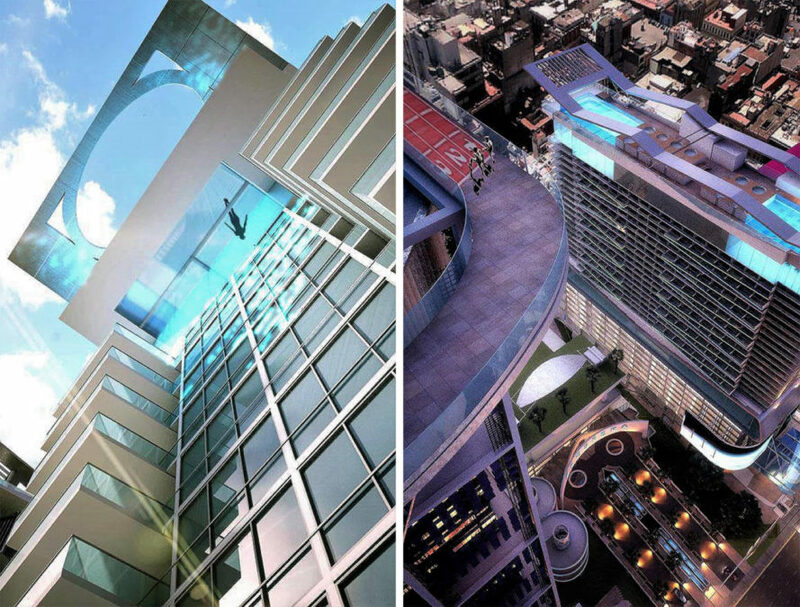 Homes, offices, a spa, retail space, a hotel, and a public square are planned for the innovative complex, which could be fully finished in 2020. A newly designed futuristic power plant complex, EXOSPHERE, pioneers a unique paradigm for sustainable buildings in the Dominican Republic. Four wind turbines connect a pair of net-zero towers in the "largest building-integrated wind energy system in the Americas," according to architect Richard Moreta Castillo of Richard's Architecture + Design (RA+D). 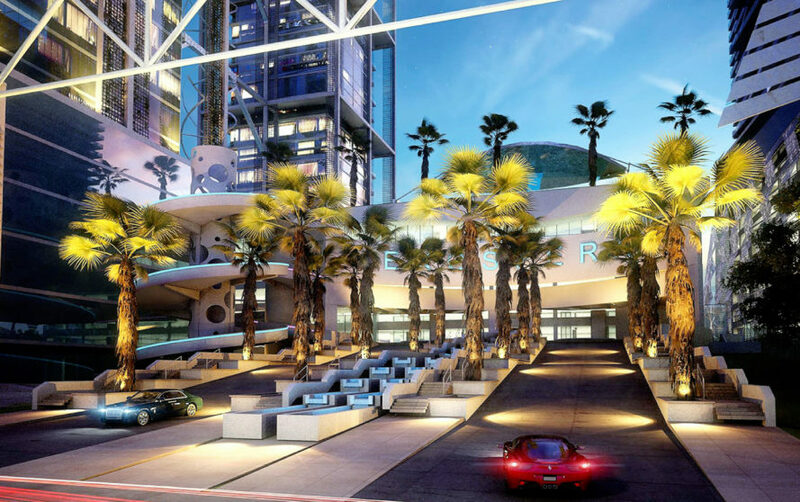 But this isn't your typical power plant; including homes, offices, and even a spa, EXOSPHERE is positioned to vie for the title of the Caribbean's tallest building. Renewable energy will power the complex. The power plant buildings will also house homes and offices. 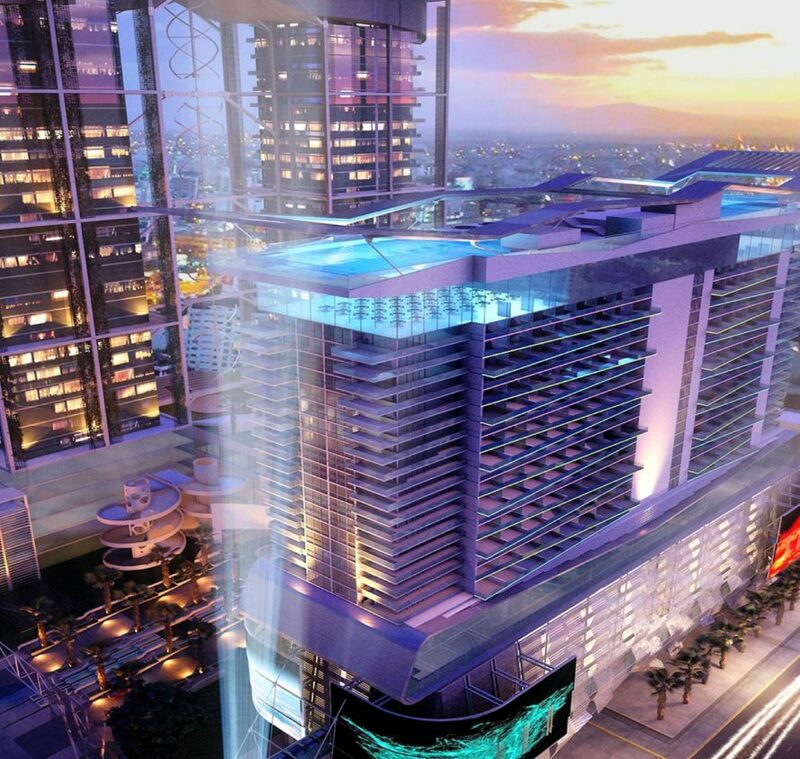 A spa and public square are also planned for EXOSPHERE. Neat green interior features include carpeting made of corn and soy-based paint. LED lighting and efficient appliances will be found in the building. Geothermal heating and cooling also add to the building's sustainable profile. EXOSPHERE could be finished in 2020.